Bryony and her sisters, Iris and Holly, have come down in the world. Brought up as daughters of a wealthy merchant who loses his fortune, they eke out a meagre but relatively happy existence in a small cottage in an out of the way village. 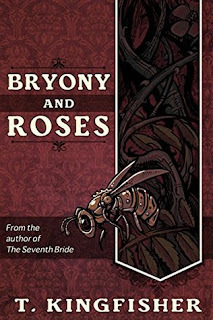 Then Bryony loses her way during a freak spring snow storm and takes shelter in a mysterious manor house. 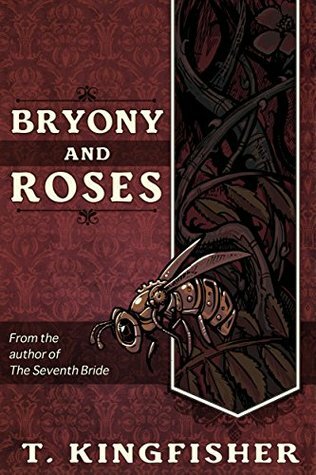 When Bryony leaves she makes the mistake of trying to take a rose with her and is confronted by a terrifying beast. The bargain they make is that Bryony will return within a week and the 'house' will not harm her sisters. I really enjoyed this original and vivacious retelling of one of my favourite fairy tales. My one criticism is that it does wrap up a bit too quickly at the end. And there were certain 'practicalities' in the ending that, while I liked the direction the ending took, I felt could have done with a bit more examination. Still a great read and I'd happily recommend it to any fans of fairytale retellings.